Want to know more about Sociatag products? We will bring you the complete list of our products as a final stage of the whole Sociatag process discussed in earlier posts. Photobooth unit (takes live pictures of you and uploads them automatically to your Facebook profile or Fan page). 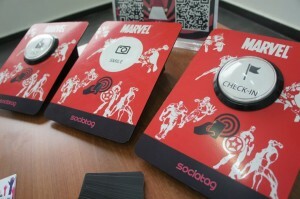 The Sociatag Readers are devices that allow users to directly connect to the online community by a simple tap. Customers are given the opportunity to personalize and share their experiences with friends and family by registering their own tag, and by signing up to their sociatag account using Facebook, Twitter or their own email address. Users later have the opportunity to participate in different activities. The Sociatag tags are QR codes that users scan using Sociatag mobile application to connect to the online community. They can be used as an identification card in big events and conferences. Based on your choice our tags come as either fully branded, semi-branded, or not branded. We have 3 different types of tags: Wristbands, Key chains and PVC cards. The Sociatag cookies are NFC based tags that users link to their Twitter, Facebook, Foursquare, LinkedIn or any other social media profile. (For more info check our NFC post). All what a user have to do is to choose his cookie, then directly link it to his profile. His friends then just have to tap their phones to the cookie and they’ve found his profile at ease. Want to be part of the next big thing? Are you interested in having our products at your next event or at your store? Then please visit https://www.sociatag.com/store. 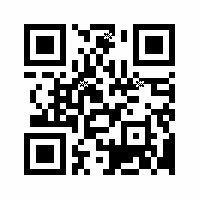 QR codes stands for quick response codes. They are a type of two-dimensional barcode that can be read with a dedicated QR reading device like a smartphone. The codes are black modules arranged in square shape. Normal barcodes are horizontal and thus can only be read in a horizontal way. While the QR codes can be scanned vertically or horizontally. There are several websites that generate QR codes. Where can QR codes be displayed? Business cards, booklets, newspapers, product, leaflets, advertising banners and so on. The information that these codes carry are usually a link to the web: a website, an email, a product that is displayed on the internet, an offer, even prompts the user to call a phone number, etc. Thus, QR codes have a major impact on marketing and customer service. So when placing QR codes in a marketing campaign, you want to give your loyal customers and potential customers a reason to scan the code, and the reward should be valuable. Imagine at the opening event of your store, you have leaflets or business cards with a QR code. When visitors come in, they won’t have to search for you on Facebook to like your business, all they have to do is scan the code and they are redirected to your Facebook page. All you have to do now is download a QR code reader app and scan the code above.